If travelling around the world for seven months followed by a week in Paris hadn’t been enough for me, I jetted off to Sweden for the first time and spent a few days exploring Stockholm. What is the Stockholm Pass? 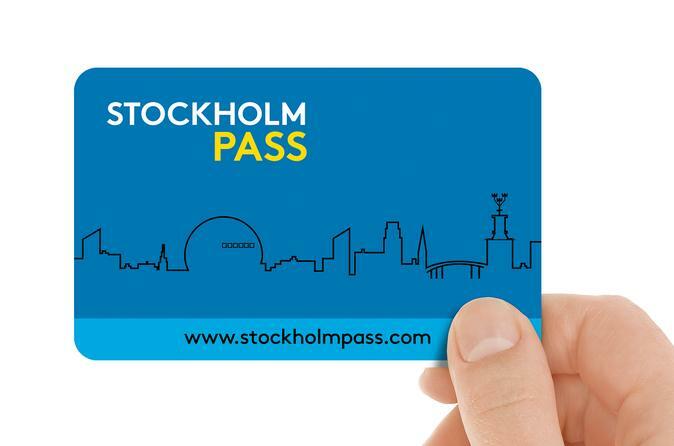 The Stockholm Pass* is very similar to the London Pass, the Paris Pass and many others: essentially, it’s a sightseeing pass which gives you admission to the city’s tourist attractions and ultimately saves you money. Stockholm’s Pass allows entry into over 60 attractions, including tours, and you can even get an add-on for public transport! The pass itself has 1, 2, 3 and 5-day options and you can select which one you want depending on how long you’re in Stockholm, how many days you think you’ll sightsee and how much your budget will stretch. Note: there are child passes available at a cheaper rate. Once you’ve chosen the pass you want, you can either get it delivered to you or pick it up in Stockholm when you get there. Top tip: if you can, get it sent to you beforehand so you can use the guidebook to plan your trip. Each pass has a QR code on the back which is scanned each time you enter an attraction or go on a tour. After it’s been scanned for the first time, your pass is activated which means it’ll expire after 24, 48, 72 or 120 hours (depending on which pass you go for). You can then just skip the queues and not have to worry about buying tickets for the attractions included in the pass. How good does that sound? Do you really save money with the Stockholm Pass? We saved a total of 1009 SEK each by using the Stockholm Pass so I would say that, unlike other passes, this one is definitely worth the money simply because of the Hop on-Hop off transport it includes. Since Stockholm is built on water and has several different islands surrounding it, transport (particularly by boat) is a must and so I think the Stockholm Pass is great value. Although we probably wouldn’t have spent a total of 1,804 SEK each on the attractions, the Stockholm Pass is really worth getting if you have limited time and want to see as many sites as possible. It was because of the Stockholm Pass that we got to do both the Panorama Bus Sightseeing Tour along with the Under The Bridges of Stockholm canal tour – both worth doing but both something that we wouldn’t have actively thought of without the passes. The pass has several boat tours and trips to the other nearby islands which (unfortunately) we didn’t get the chance to do but they are trips that add to the value of the Stockholm Pass. If you want to see more pictures of my time in Stockholm, click here. I’ll be doing another post on some of the attractions soon too so keep your eyes peeled if you’re thinking of heading there soon! *disclaimer – the Stockholm Passes were complimentary but, as always, all opinions are honest and entirely my own.